Africa is home to some of the last surviving traditional cultures on Earth. 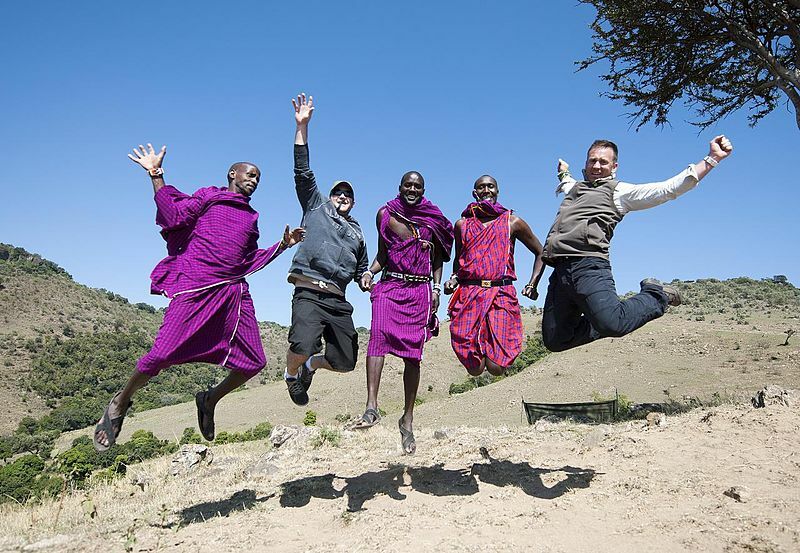 The Maasai people, one of the most well-known tribes, are recognized for their unique and ancient rituals, attire and beliefs. But they are slowly modernizing, and more and more younger members are leaving their homelands and traditions for life in the city. 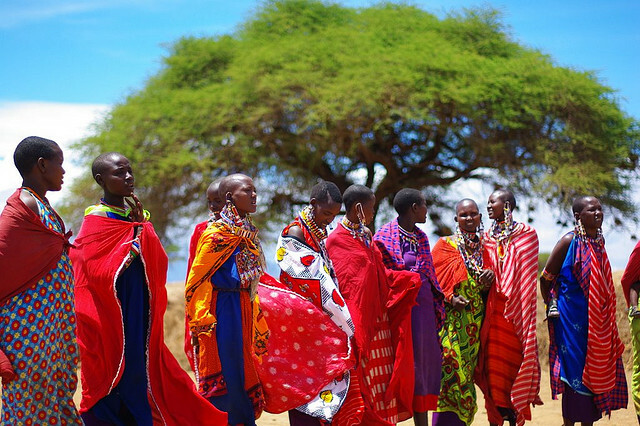 Here are 15 things you didn’t know about the Maasai people of Kenya and Tanzania. 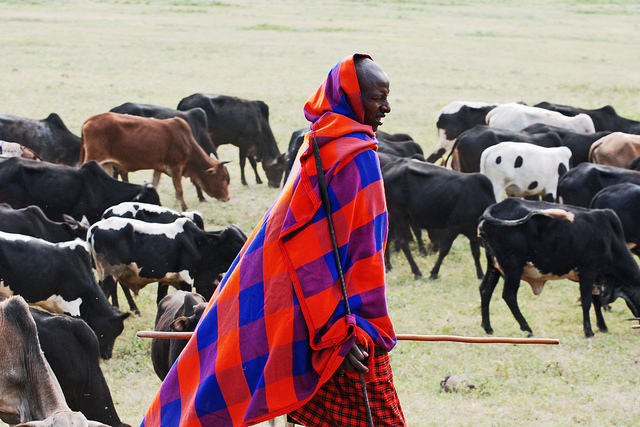 It’s estimated that up to one million Maasai people live in Kenya and Tanzania. Many Maasais will argue that the number is inaccurate due to the inability to count them, since some clans do not want to be counted. However, many have migrated to bigger cities and do not dwell in smaller traditional villages. Originally from Sudan, the Maasais have largely lived nomadic lives and often relocate to different regions. 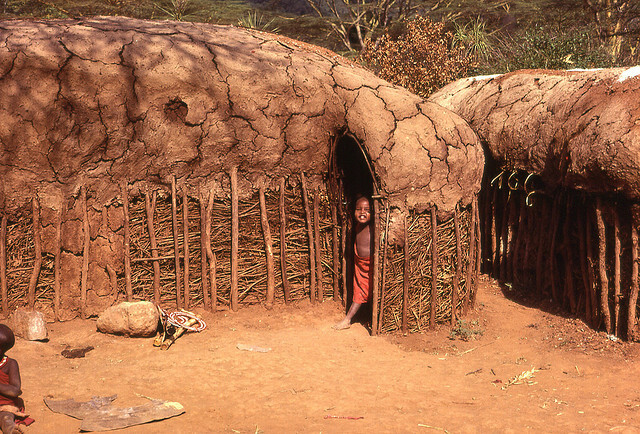 Today, the majority of them live in Kenya and Tanzania and have settled down, drastically reducing their nomadic pace. 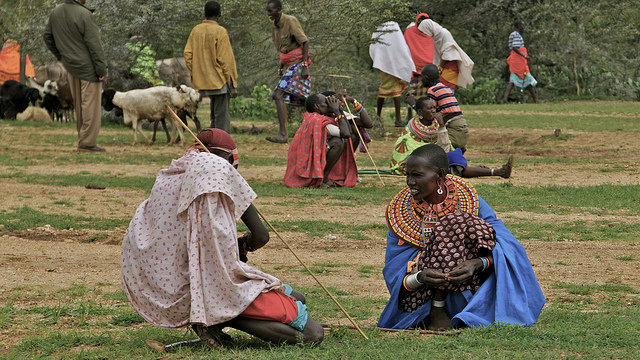 Clothing signifies Maasais’ current life status such as being young, old, or recovering from circumcisions. They often wear colorful shukas (sheets) that are wrapped around their bodies, and women often wear intricate jewelry made with beads, wood, clay or bone. 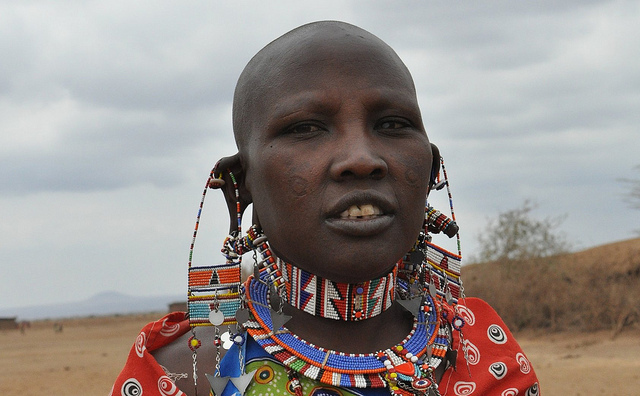 Every Maasai member has shaved heads and some have a few body modifications, such as stretched earlobes with holes, usually plugged in with sticks, stones or elephant tusks. Children often have all of their baby teeth removed due to their belief that it will prevent illness. 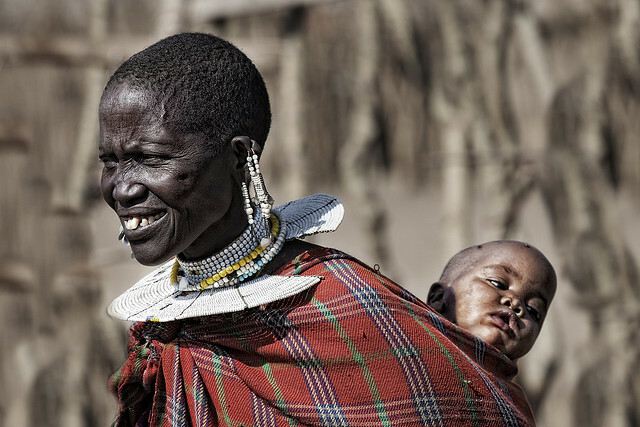 Infant death is high among the Maasai people. When a child is born, he/she is not recognized as human until he/she survives past three moons. 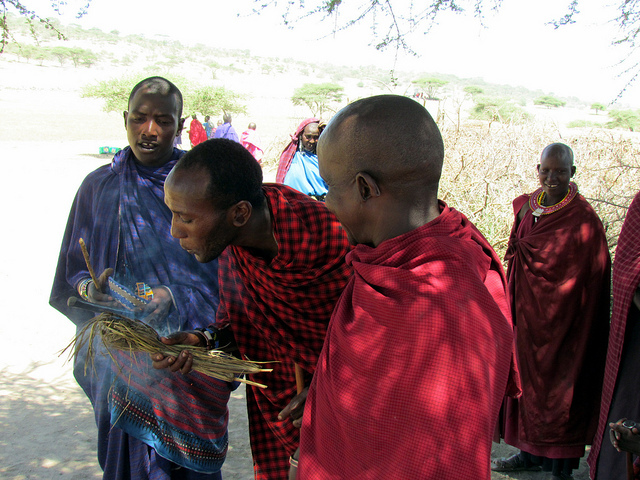 The Maasai people believe in giving back to the Earth by leaving their deceased out in the field to be eaten. 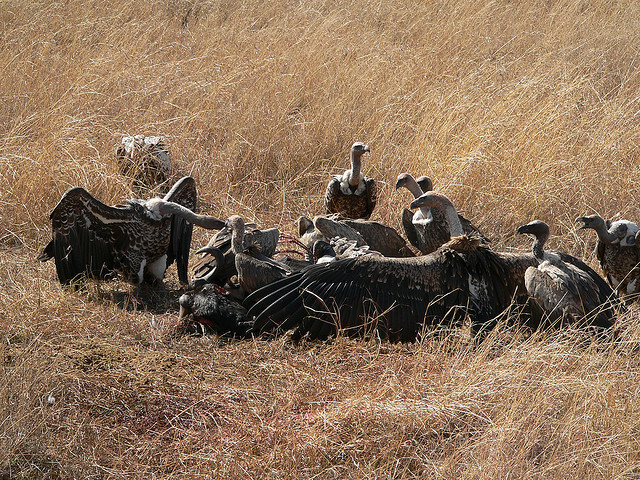 During a burial, mourning relatives will cover their deceased in ox-blood to give off a stronger stench to attract vultures or other wildlife. If the animals do not take the remains, it’s perceived to be a bad omen upon the deceased’s family. The tribe is patriarchal and elder men make all of the important decisions. The elders oversee negotiations with other villages/tribes, arrange marriages, and punish members when necessary. Young men have little to no influence on the decision making and are raised to be warriors. 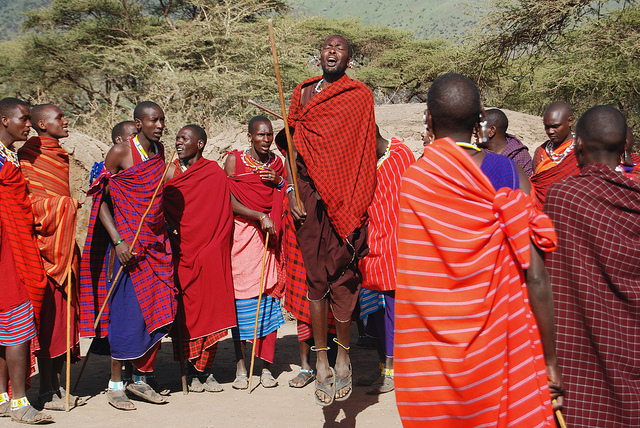 The Maasai are one of the few cultures in the world that partake in throat-singing. They use their throats to mimic sounds that some would say sound eerily like a cattle call. Traditional dancing involves jumping where young men will typically engage in competitive jumping to prove their masculinity and flirt with women. 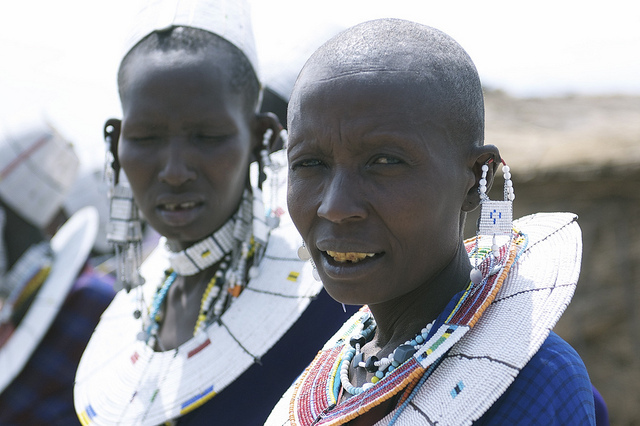 The indigenous people of Kenya and Tanzania speak Maa which consists of 30 contrasting sounds. Tone is an important part of their language and plays a role in conveying mood. 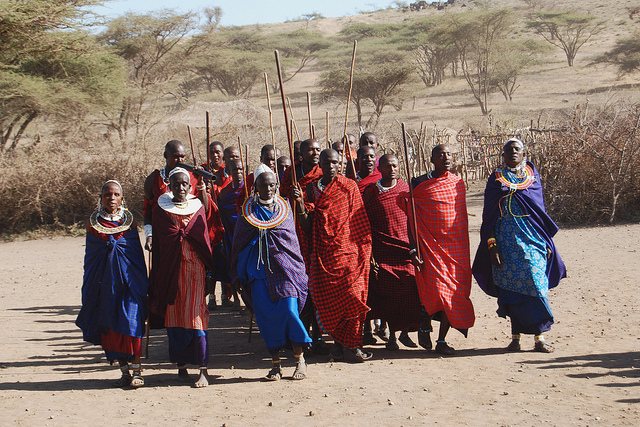 Young Maasai men rarely get married because of their duties to be warriors and protect their village. Once a warrior has reach a certain age where he is no longer adept at fighting, he is finally ready to take a young bride. Young women have no duties that prevent them from marrying so it’s highly common to see big age gaps between the husband and the wife. 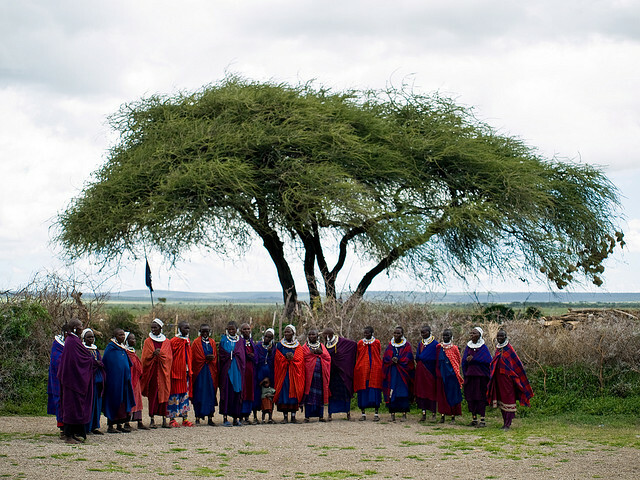 Many Maasai believe in a god called Ngal that is neither male or female. They believe that their cattle are direct gifts from Ngal and the more cattle they have, the more it represents Ngal’s love for them. However, many Maasais have converted to Christianity due to Christian missionaries that have visited over the years. When a female Maasai marries a man, she not only marries him, but his extended family and friends as well. Because of high infant death rates, some elder husbands will allow other male family members to sleep with her (but only if the wife agrees). If she is impregnated, the baby is considered to be the child of both her husband and the other man (or men). 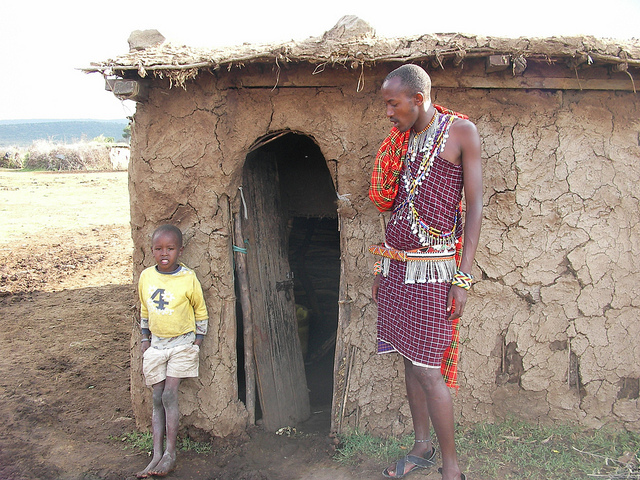 While they have history of being nomads, many Maasais are starting to settle down in circular mud houses. The “cement” they use to build their homes are often mixed with mud, sticks, grass, cow dung and human urine. These houses usually keep the residents safe from dangerous wildlife. With modern and western influences, along with drought and declining powers of tribal leaderships, many younger Maasais are drifting away from tradition and culture. A large amount of the members seek “better” opportunities in Nairobi and other cities. This cultural shift is slowly going out of their hands and beyond their control.